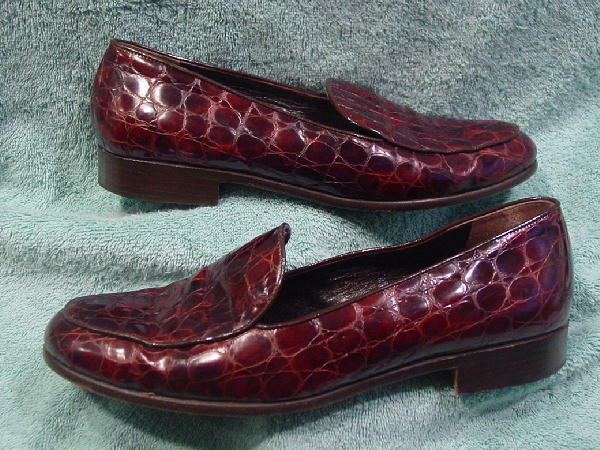 These embossed calfskin loafers have an alligator pattern. 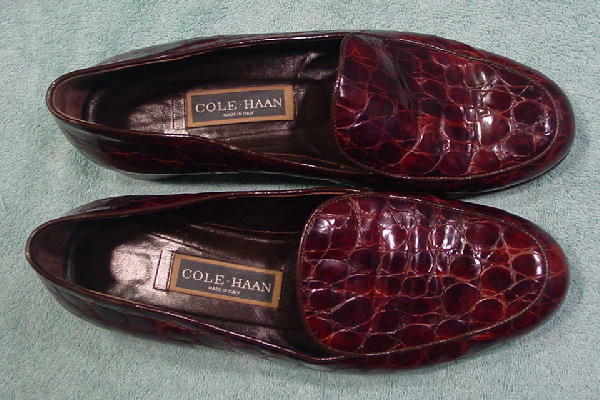 They are by Cole Haan and were made in Italy. The surface is in various shades of brown. 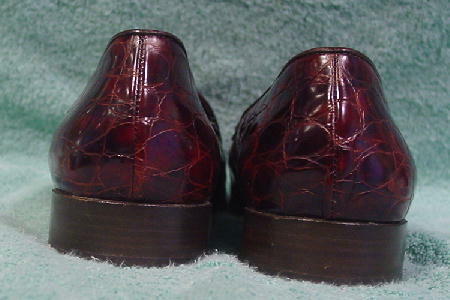 They have dark brown leather linings and insoles and leather soles. The light spots on the shoes are just reflections. She said they are very comfortable.